Discover Hamburg old and new on this small-group walking tour of the vibrant port city. Meet your guide at the Baumwall station, and set off on foot. 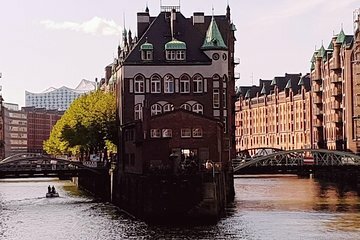 Over the course of several hours, you’ll explore the centuries-old buildings in the Speicherstadt warehouse district and will see the modern highlights of the vast HafenCity (a massive urban regeneration project), including landmarks like the starchitect-designed Elbphilharmonie. Together, the area is a UNESCO World Heritage Site, and showcases Hamburg’s past and present.